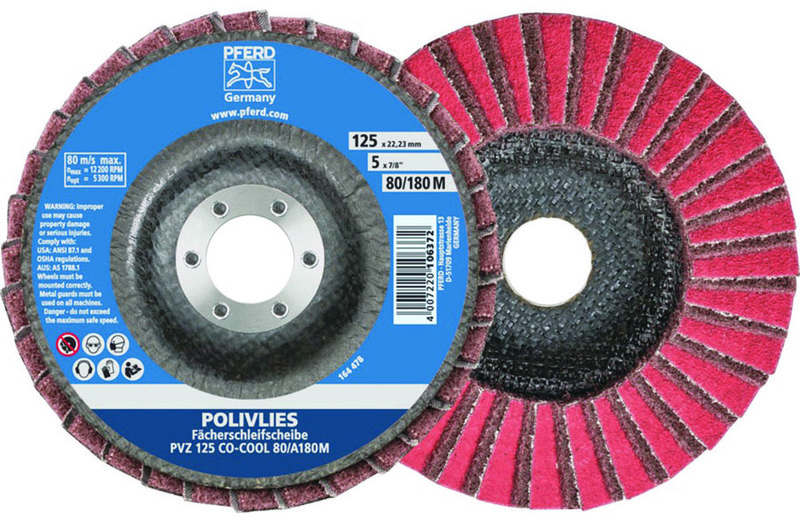 Pferd Inc. released Polivlies ceramic oxide Co-Cool flap discs. The abrasive material provides special top-sizing for reduced loading and cooler grinding on poor heat-conducting materials. The interleaved flap construction alternates between aggressive coated abrasive and nonwoven material, allowing for grinding followed by surface conditioning in a single operation. The discs are recommended for work on large surfaces made from stainless steel. They are available in 4 1/2 in. and 5 in. diameters in plain arbor hole and threaded hub configurations with a maximum speed of 13,300 rpm.